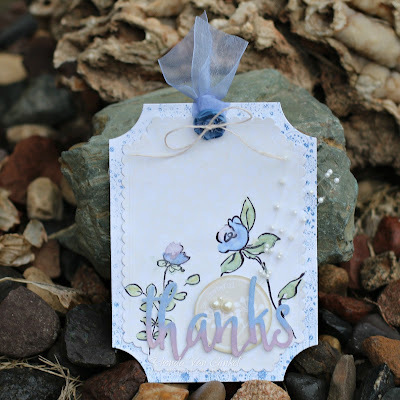 Crafty Monday greetings to you friends, it's Rhonda here today to host the blog. My project for today features some of our newest papers with a watercolor technique using Quick Quotes PowderPuff Chalk Inks. To begin, I used the new neutral sheet of Windsong 102, trimmed to roughly 5x6, then coated it twice with Clear Gesso. Let dry between coats, it doesn't take long. 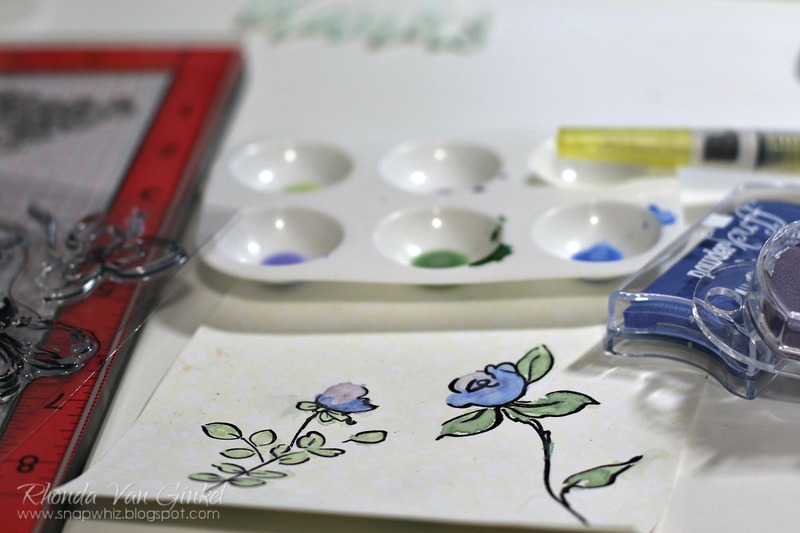 This step is important so your paper is prepped in order to allow the color movement with your inks. I stamped the black outlines using an Archival ink and let dry. This secures the lines so there will be no bleed. I took my mini palette and water brush pen and created the colors that I wanted. Watercolor is so forgiving and looks more natural if it's imperfect, just have fun! The die cut sentiment was created by first cutting the shape, then using Hydrangea and Plum Crazy PowderPuff Chalk Inks to perfectly coordinate in an ombre style. 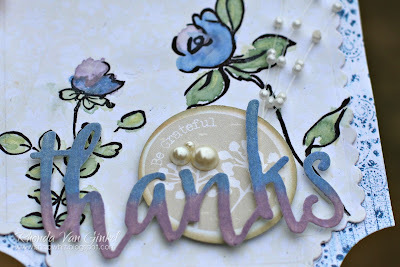 I layered it on top of the Be Grateful image from Chiffon 500 which was inked on the edges with Latte. Thanks so much for stopping on over for a visit today! Beautiful work Rhonda and great tips.